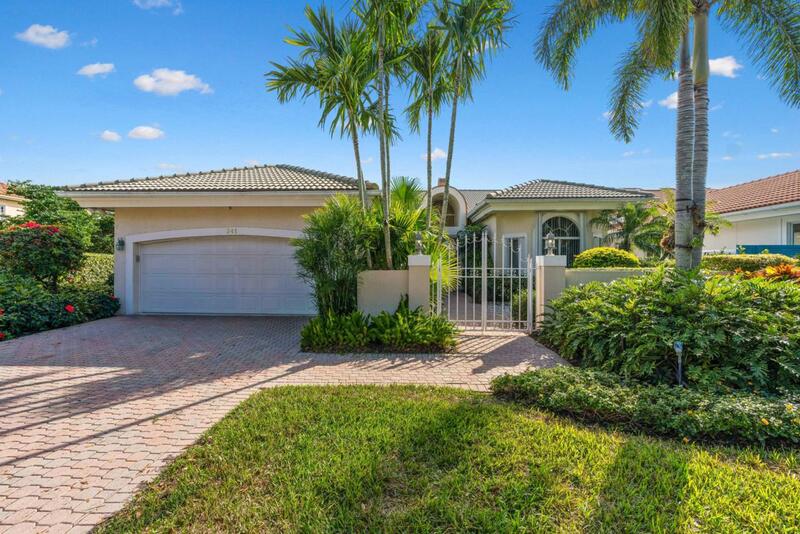 Beautiful 2 BR ( convertible 3rd)/3BA detached home with a dock on navigable water in the golf & boating community of Admirals Cove. The dock is two-sided, with room for 40 ft boat on one side. The other side has a lift and room for small watercraft. The light & bright home has sliders leading to a covered screened porch, the water, & the dock. It features natural gas appliances, including a range, dryer & pool heater. This home has a social membership, & can be upgraded to a sports or golf membership if desired. The Club at Admirals Cove includes two renovated clubhouses, 45 holes of golf, 5 restaurants, a 54-slip marina with floating docks, a yacht club, har-tru tennis courts, pickleball courts, a state of the art fitness center, a world-class spa,a kids club, & renowned Platinum rating.